Ellen Morgan is one of the founders and driving forces behind Agility Clinical, one of the most recommended CROs in the western US. Her passion for helping underserved patient populations has helped to define Agility’s focus on orphan drug development. 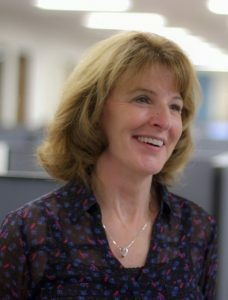 Prior to Agility, Ellen was founder and CEO of Synteract from 1995-2010, and Chairman in 2011. She built Synteract to become a full-service, international contract research organization serving biopharma companies, with offices in 3 locations in the US and Europe. Ellen is also the founder of PHACT, the first non-profit CRO specializing in clinical trials for neglected diseases in Africa. She has earned numerous awards including “Most Admired CEO”, “100 Most Inspiring People in the Pharmaceutical Industry”, “Athena Pinnacle Award for Women in Science and Technology”, and Ernst & Young “Entrepreneur of the Year” Finalist. Her prior positions include large pharmaceutical companies (Sterling Drug and Pfizer) and Gensia, a biotechnology company. Ellen has a BS in Chemistry, and an MS in Management & Industrial Engineering from Rensselaer Polytechnic Institute. 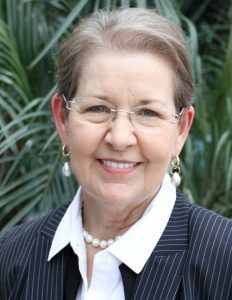 Marilyn R. Carlson has more than 20 years of experience in the development, approval, and post-marketing support of pharmaceutical products across a wide variety of therapeutic indications. Marilyn brings this wealth of medical, dental, regulatory, safety, and clinical experience to Agility clients, projects and teams. Her pharmaceutical industry experience includes; Procter & Gamble Healthcare and Pharmaceuticals, XOMA, Advanced Corneal Systems (now ISTA Pharmaceuticals), Prometheus Laboratories, Synteract, and numerous clients through entreMeDica, Inc.
Marilyn has a BA in anthropology/biology from Hunter College, a DMD from the Harvard School of Dental Medicine, completed a dental residency in geriatrics and special patient care at Long Island Jewish-Hillside Medical Center, has an MD from Case Western Reserve University (Alpha Omega Alpha), completed an internal medicine residency at the Cleveland Clinic Foundation and received Regulatory Affairs Certification (RAC) from the Regulatory Affairs Professionals Society. As chief medical officer, vice president and consultant for companies of various sizes, Marilyn recognized her passion is working with start-up companies and entrepreneurs in the life sciences where no task is too big or too small. Elizabeth Ludington has approximately 20 years of experience in the pharmaceutical and biotech industries, working for both CROs and sponsor companies. She has provided statistical, technical, and strategic expertise for pre-clinical studies, INDs, Phase 1-Phase 4 clinical studies, eCTDs, and post-marketing requirements. She has a special interest in the design and analysis of natural history studies in drug development, particularly for orphan diseases. Her statistical experience includes study design, protocol review, writing and reviewing analysis plans and statistical reports, and representing clients at meetings with regulatory authorities. She serves as a senior statistical consultant for programs at all phases of development, including participating in overall clinical development strategy and cross-functional regulatory and strategic alignment meetings. Prior to Agility Clinical, Elizabeth held positions as Vice President, Biostatistics at Synteract, Executive Director of Technical Operations and Biostatistics at Somaxon Pharmaceuticals, and statistical positions at Elan Pharmaceuticals and Statistics Collaborative. Elizabeth holds a PhD in Biostatistics from the University of Iowa and a MA in Mathematics/Statistics from Boston University. Kristi Clark has more than 20 years of experience in the biopharma and CRO industry. Kristi green-fielded an office in Eastern Europe for a Synteract, Inc. where she spent two years building the office infrastructure and client base. As part of the senior leadership team at Synteract, Kristi played an integral role in global business strategy. Her global leadership, project and clinical management experience has spanned the full scope of studies, and has included expertise in many therapeutic areas including pediatric oncology, pediatric chronic pain, cancer pain, oncology, cardiovascular, CNS, biomarkers, infectious disease, gastroenterology, ophthalmology, stem cell research and whole genome sequencing. 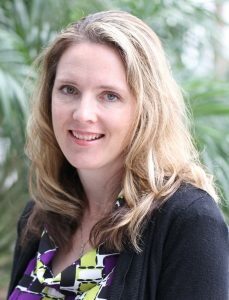 Additionally, Kristi provides strategic planning and oversight for many rare disease trials at Agility and she is passionate about exploring ways to lessen the patient burden. Prior to Agility Clinical, Kristi held positions such as Managing Director at Synteract, SRO in Prague, CZ; Sr. Director of Project Management and Global Business Operations at Synteract; Associate Director, Project Management at Quintiles. 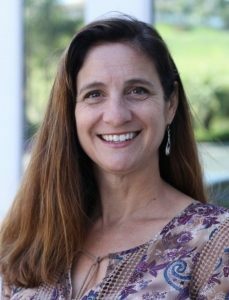 Kristi holds an MBA in Healthcare Administration from National University and a Bachelor of Science in Biopsychology from the University of California at Santa Barbara. 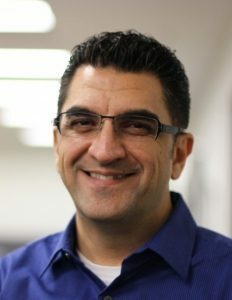 Ali Sadighian has more than 20 years of clinical development and R&D experience having worked in academia, biopharma, and in leadership positions at several leading CROs. Ali brings a unique set of skills to Agility clients having started as laboratory researcher at the UCSD School of Medicine, then moving to quality control in the biotech industry, then moving into clinical development initially as a clinical research associate (CRA) and eventually as a senior executive. As a member of the Agility executive team, he has had an integral role in developing Agility’s business strategy, infrastructure, and corporate culture. Ali holds a Bachelor’s degree in Biology with a minor in economics from the University of California, San Diego. As a long-standing member of the pharmaceutical development industry, Ali finds it extremely rewarding to help small companies working to bring new therapies to patients and families in greatest need.